Welcome back my Amazon loving affiliates to Classic Wonder Woman, Precinct1313’s weekly comic cover countdown to the 75th anniversary of Themyscira’s favourite daughter. 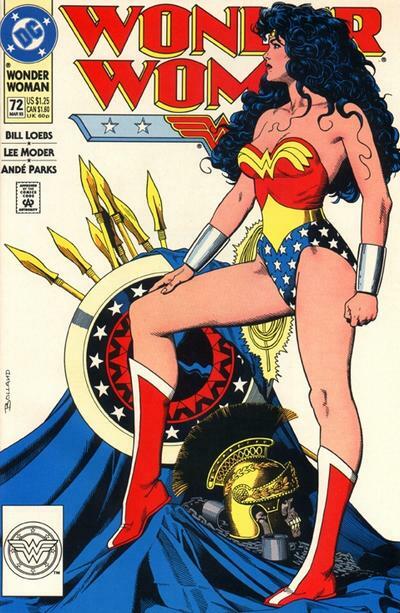 The Amazon archives this week present you with: Wonder Woman (vol 2) #72, Written by; William Messner-Loebs, Cover by; Brian Bolland, with Interior art by; Lee Moder and Ande Parks. Released in March 1993. The titanic tale secreted behind this weeks astounding cover is titled “The Song Of Creation.” The issue begins with Diana recounting the origin of the Amazon race to her human friends after a mysterious year long absence. Diana is concerned that whilst she has been away nothing has been heard of her home of Themyscira or her sister Amazons. 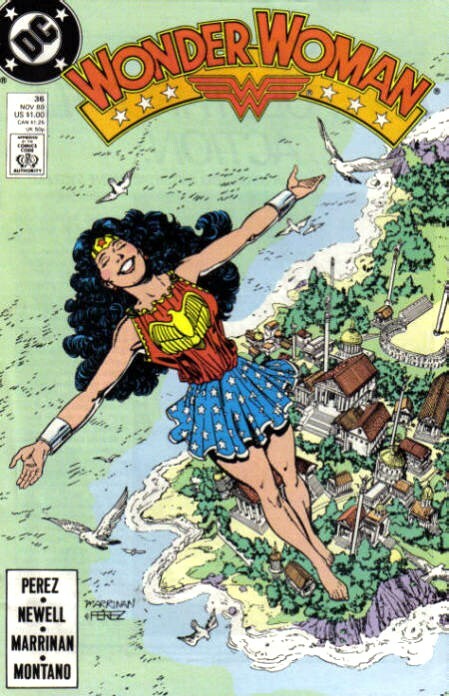 Upon discovering that the Amazon Embassy has been mysteriously abandoned, Diana travels to Themyscira to find Steve Trevor’s plane resting on the ocean surface just outside the cloud barrier that hides her paradise home from the outside world, but when Diana flies through the barrier she finds… nothing, the island and her Amazon sisters have disappeared! 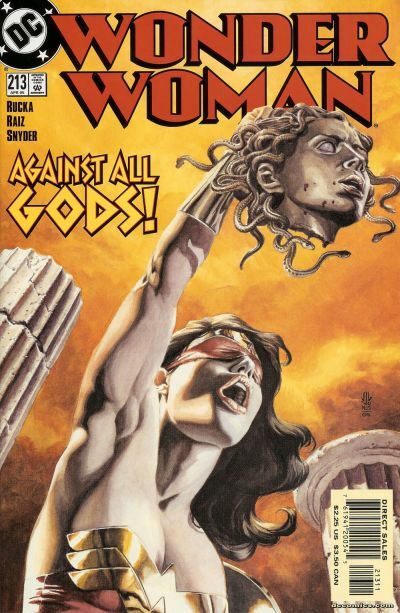 Brian Bolland’s iconic run on WW covers in the 90’s is still revered by fans today. This is actually my favourite WW cover of all time, I am a massive fan of the cover artist Brian Bolland and actually have two copies of every WW cover he has ever produced (one for the collection, one for framing.) 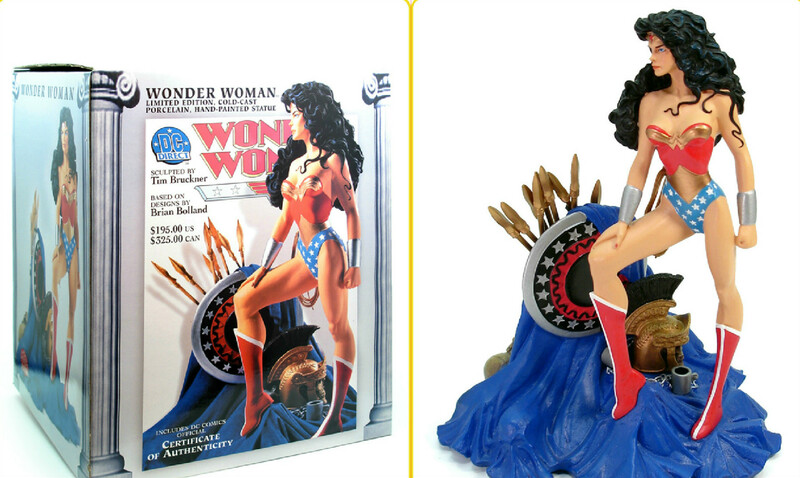 This cover is lauded by fans, and was so popular that DC produced a statue based upon Bolland’s iconic illustration.